How Far is STBL Lakshmi Madhusudhana Gardens? Lakshmi Madhusudhana Gardens STBL Projects Limited is renowned in developing Land Mark Housing Colonies in Andhra Pradesh. Owning a house in city of destiny is a dream of every one who knows Vijayawada Atmosphere. Vijayawada is one of the fastest growing cities in Asia and going to be the Metro City in near future. After having overwhelming response for the Sri Krishna Residency, AVM , AVM Ext, Padmavathi Gardens I, II, I Ext. We now proudly announces another beautiful atmosphere housing colony with 90 independent houses and 120 Flats Apartments Lakshmi Madhusudhana Gardens for those who wish to live in gated community with modern amenities. All flats are independent and 3 sides ventilated. 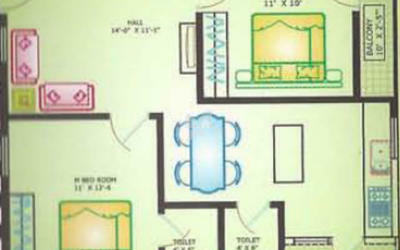 Construction of each flat with 100% vastu. External 6' walls and internal 41/2' wall with light weight bricks/Red bricks. Cement plastering with single sponge finish. Main door specially designed polished teak wood with brass hardware. Internal doors are county wood frame with flush shutters and standard aluminium hardware. Main windows with polish teak wood frame & teak wood shutters with pin headed glass and safety grills and all windows are country wood frame and teak wood shutters with pin headed glass. Vitrified tiles flooring in all rooms and in bath rooms non skid tiles flooring. Outside and inside of the building emulsion paints. All doors and windows with enamel paints. Granite platform with sink, tiles daddoing up to 2.6' height. Tiles daddoing upto 5' height, hot water provision for attached toilets. Generator backup for lift, common areas and motors. 1 phase electrical wiring, Anchor or equivalent made cable. Modular switches with concealed galvanized iron boards. 1 number Air conditioners power point for each flat. Two wheeler parking for each flat.